i3 Plus by Bestar has been created to adapt to your living space with the flexibility of its configuration possibilities. Its sleek design is Intelligent, Inspiring and Innovative. Durable commercial grade top surface with melamine finish that resists scratches, stains and wear. Three open storage compartments. Meets or exceeds ANSI/BIFMA performance standards. 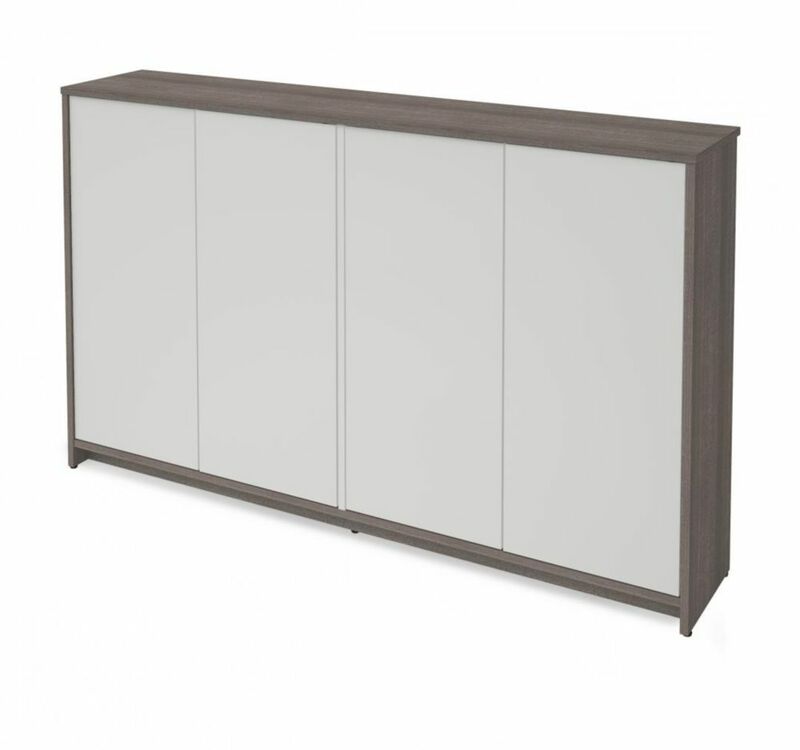 Small Space 60 inch Storage Unit - Bark Gray & White Within a compact space, choosing the right pieces of furniture is crucial in order to feel relaxed and comfortable. Maximize every square foot of your room with Bestar's Small Space units! Durable commercial grade top surface with melamine finish that resists scratches, stains and burns. The top surface is 11= inch deep. 4 adjustable shelves to maximize your options. Assembly Required.